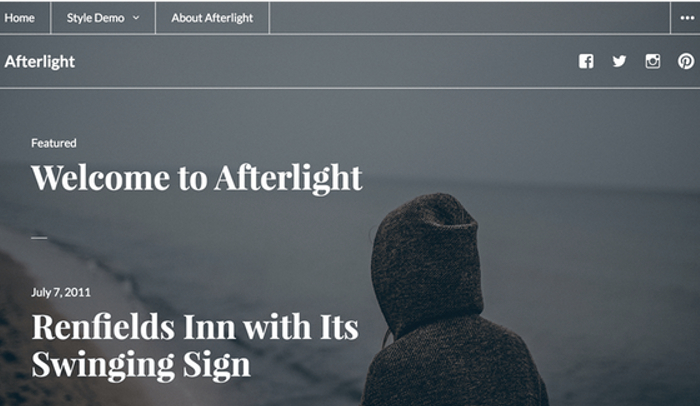 If you’re looking for dark designs within your WordPress theme inspiration, you’re in luck. In terms of the best free dark WordPress themes, you’re going to find yourself with a host of attractive possibilities. The challenge on your end is to find a dark design that also gives you the functionality, widget potential, and overall range of features you are looking for. 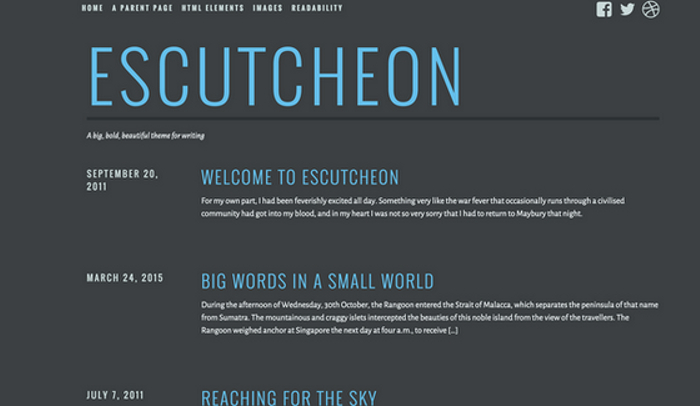 Thankfully, there are tons of dark WP themes to support your niche and brand. The dark-blue vibe to this theme will definitely meet your requirements for a dark WP theme. At the same time, you’re going to love that Exclusive is designed with every type of user in mind. When choosing your WordPress theme, you want to keep in mind that in this day and age, there is no such thing as a singular device that everyone’s going to use to access your WP site. Exclusive offers tons of customization options, and it looks phenomenal on mobile devices. Beyond the fact that this is a great example of dark WordPress themes, Dyad is a great marriage of form and function at the same time. You’re definitely going to like the harmony that exists on the main page and beyond, in terms of the way text and media are seamlessly displayed side-by-side. You will find one area in the footer for your widgets, which may be a turnoff for some. The smoky colors of Escutcheon might evoke noir film memories. 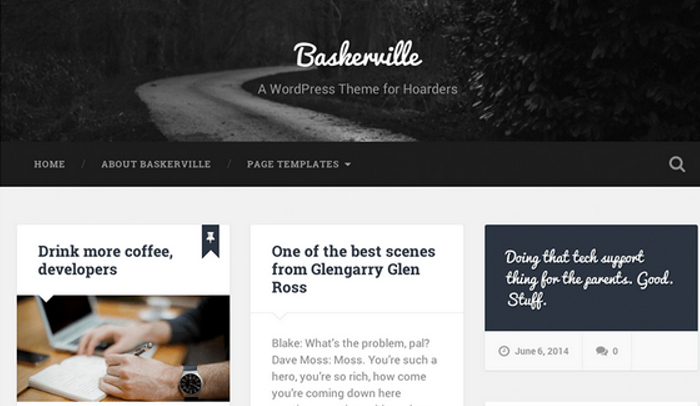 Nonetheless, this is one of the best free dark WordPress themes to be found anywhere. The dark backdrop combines with the bold text to create something that’s perfect for a wide variety of interests. The support for large, prominent images is a nice feature. Escutcheon also allows you to work with its minimalist design to create something that suits your specific interests. The dark backdrop displays the white portion of this theme nicely. You’ll also want to note the array of custom widgets you can work with. 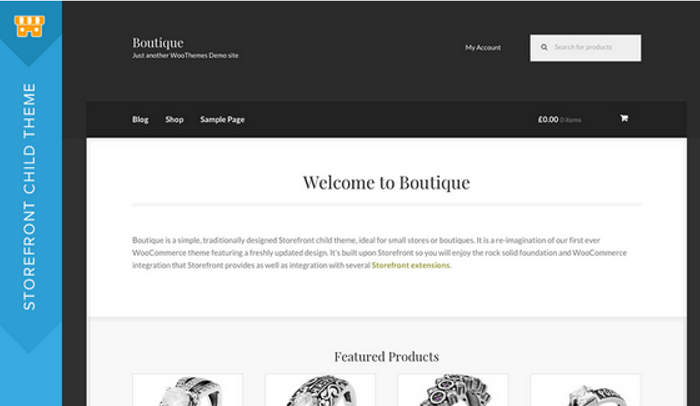 This child theme from Storefront gives you a wide range of layout possibilities to play around with. The fully responsive design is also really well-done. The sepia-toned imagery of Edda makes it an essential entrant on this list. At the same time, you should pay special attention to the fact that Edda works with big featured images and a variety of post formats. This theme can be ideal for photo blogs, journals, and other, similar possibilities along those lines. Whether you are a candidate, the president of a local party chapter, or if you simply have strong political opinions, you can benefit from the best free political WordPress themes. As you are going to discover with some simply research, there are tons of political WordPress themes out there. Even better, you’re going to find that there a ton of high-quality free political WordPress themes. Simply put, you can find a political WordPress theme that suits your party interests, your politics, and your aesthetic interests. Don’t let the name fool you. 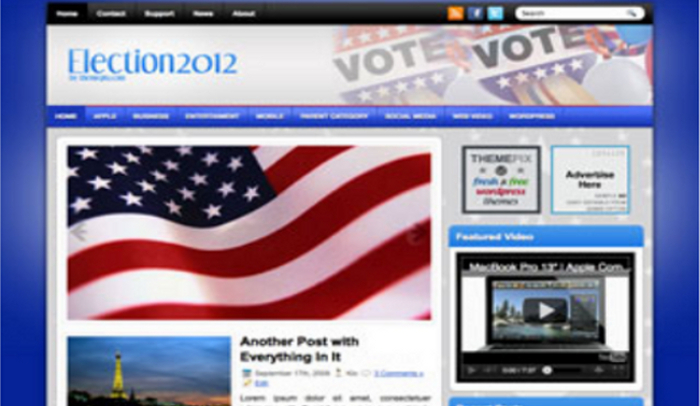 In spite of the Election2012 moniker, there is no question that this remains one of the best free political WordPress themes to be found anywhere. 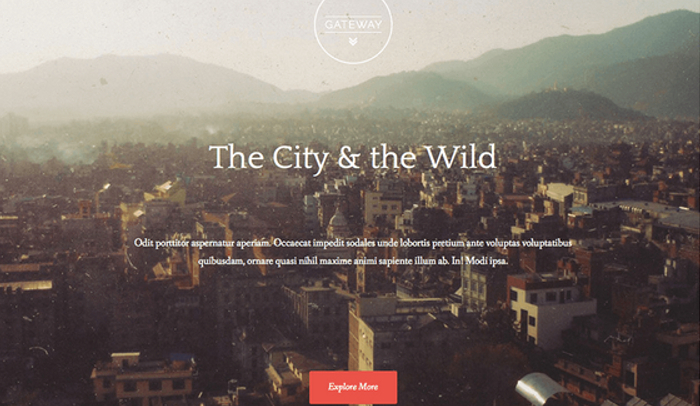 This free WordPress theme features two columns. The option/admin panel is another nice element to this WP theme, with everything easy to use and extremely straightforward. The slideshow element is a great way to show off your posts in the most attractive format possible. Another nice element to Election2012 is the fact that it can work for a variety of parties and individuals. The featured video element is certainly worth utilizing, and the fact that this theme is ad-ready is yet another component that’s going to appeal to you. 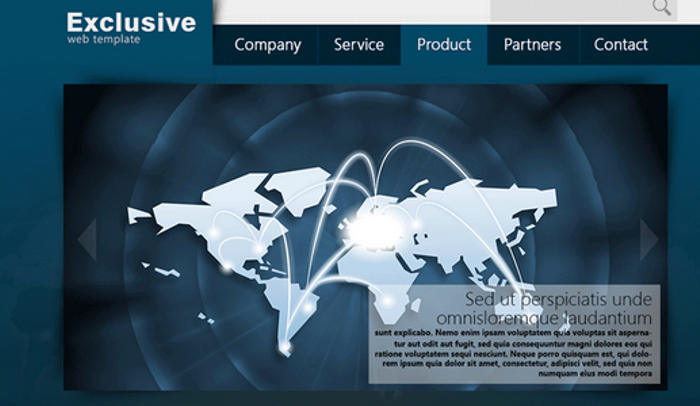 This homepage template comes with a wide range of customizable sections. 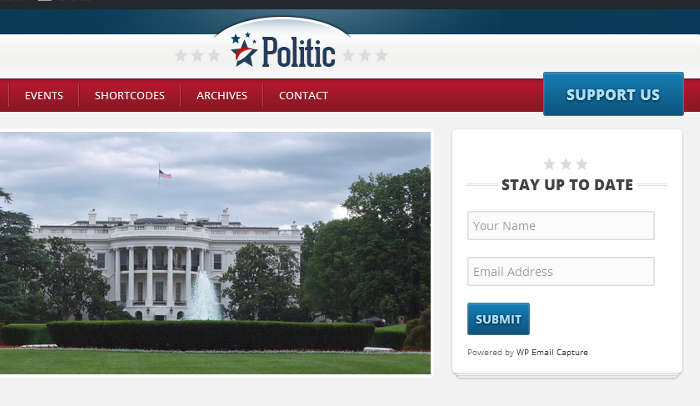 Having a header that offers contact information is nice, but you’re really going to like how Politics comes with hero sliders, a section for featured posts, and even a parallax content area. This particular example of political WordPress themes offers a flexible theme that can work for just about any political party, politician, or political viewpoint. You’re also going to find that Politics works with a wide variety of plugins. Between the plugins, as well as all of the customization options that are available to you, setting up this WordPress theme could be the first step towards greater things. The annual WP theme for 2016 is going to strike you as a decidedly fresh one. That is not an accident by any means. This WP theme endeavors to take established concepts, and move them into new, exciting arenas. From the perspective of someone who might be trying to compel strong social/political change, this could be the perfect theme to help you realize your goals. The optional right sidebar is just one of the elements to this blog that’s worth getting excited about. 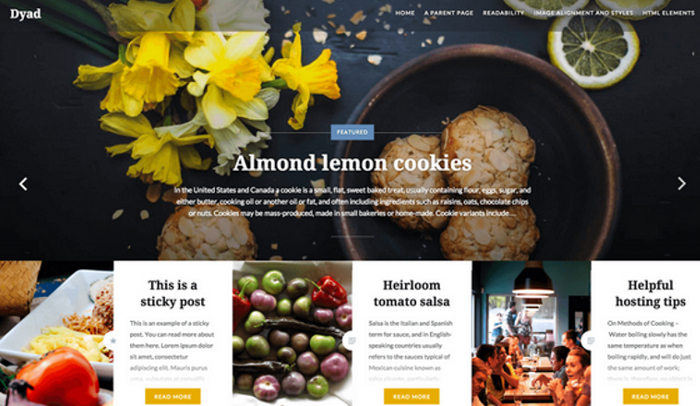 At the same time, you’re going to want to note that this theme can prove to be ideal for not only websites, but for blogs, as well. As you have no doubt noticed with the other WP political themes on this post, another benefit to Twenty Sixteen is the fact that it can work with just about any political ideology or party imaginable. The no-sidebar layout is a great way to put the attention of your visitors where you would like it to be. The two Content Bottom Widget Areas are also worth noting with this particular theme. It wasn’t deliberately designed for politics, but there is no question that it can work nicely with a political slant. Not only is Publication one of the best free political WordPress themes to be found anywhere, but it’s also one of the best free WP themes period. This particular theme may not be ideal for candidates, but if you want to create a political blog or website that works with striking visuals and standout text, this could prove to be the one you’ve been looking for. It’s not the flashiest of the WP themes, but it has everything you need to start and maintain an engaging, aesthetically-pleasing WP site for your political ideals. Fashion, food, travel, or design are just a few of the subjects that are commonly associated with this theme. However, it’s popular for the simple fact that it’s so incredibly flexible, in terms of how it can be applied. Furthermore, Publication also scores nicely for giving users an extremely straightforward admin experience. In other words, if you’re new to the world of WordPress websites or WordPress blogs, Publication can be an excellent them for getting your feet wet. 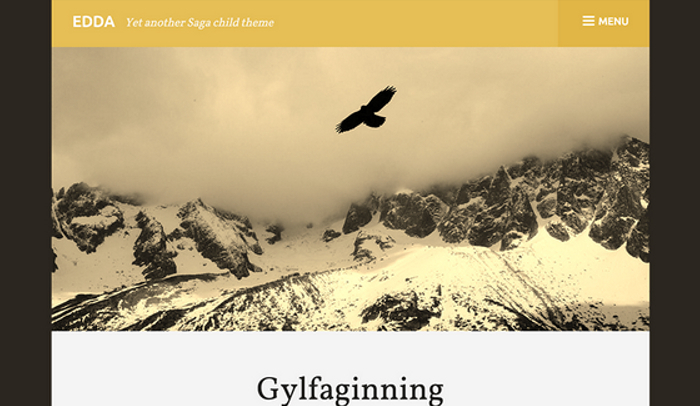 Don’t be afraid to try this particular WP theme. Get a sense of how the layout works, or how to use WP plugins. Once you feel like you know what you’re doing, move on to something that might be a little more specifically geared towards political sites and blogs. 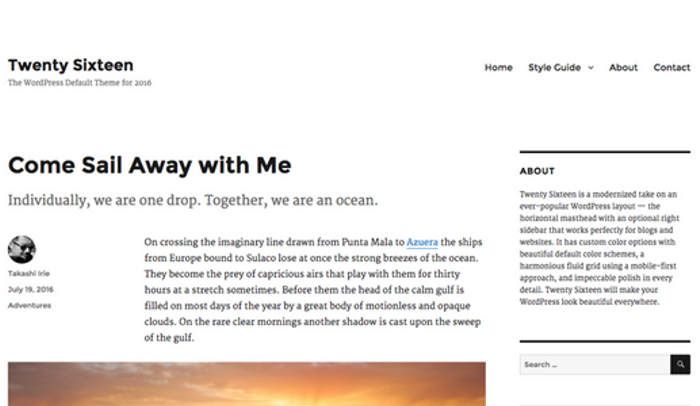 Take a look at the demo for this WP blog. You’re definitely going to be impressed with everything it brings to the table. 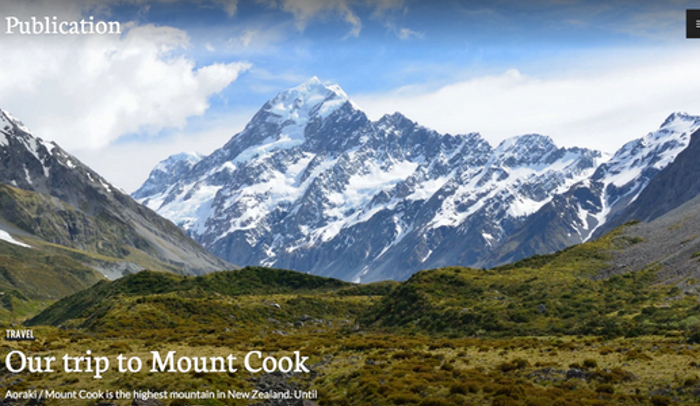 The striking visual punch of the main page will catch your attention. The world of politics is often a word that requires striking, unforgettable visuals. You can certainly achieve that with Afterlight, while also having a WP theme that will provide visitors with content in many forms. Looking for the best free membership WordPress themes? There are quite a few free options to choose from. A membership website can be an excellent way to generate meaningful passive income. While you will certainly need to work to maintain the site, as well as work to consistently provide your members with exciting content, membership websites nonetheless represent an awesome example of passive income ideas. 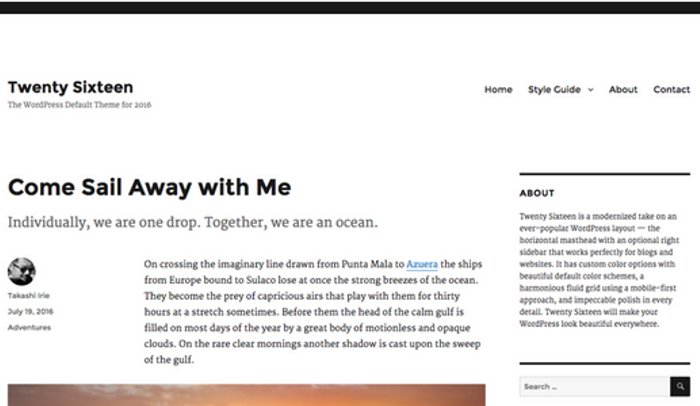 The latest default theme from WordPress is incredibly flexible. You can easily see this theme being utilized for a wide variety of purposes, including membership websites. The theme takes the beloved general layout concept into some pretty interesting territory, creating something that is decidedly modern. Custom color schemes and a grid system that emphasizes harmony are just two of the features worth getting excited about. Hemingway Rewritten is referred to as a “literary theme.” That’s fair enough. To be sure, you can very easily imagine this elegant, minimalist theme being used to launch a literary magazine. At the same time, Hemingway Rewritten’s parallax-scrolling header effect can definitely work with a variety of interests and projects. You can create a striking impression with visitors’ right from the beginning, using things like the large featured image header. 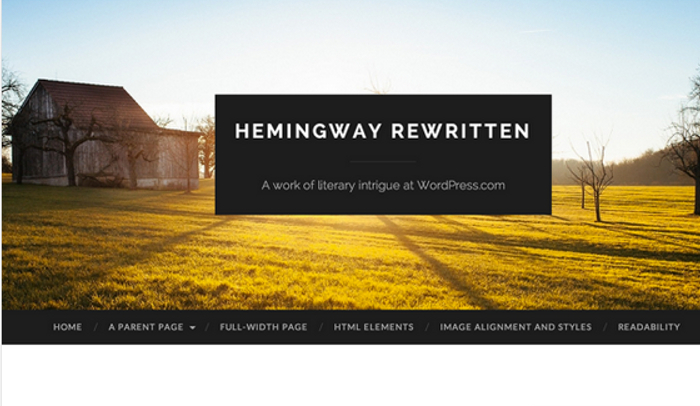 Hemingway Rewritten offers up to four areas for widget configuration. Gateway can give you a great, traditional home base for your membership website. At the same time, Gateway also has the benefit of being so easy to play around with and customize, you can move that approach to tradition in any direction you can imagine. Capture their attention with your logo. Electrify them with a powerful call to action. You can easily establish something through your main page that’s going to encourage people to dig deeper and become members. Baskerville is great for those who want to have lots of striking visuals on the main page, with a straightforward, easy-to-use menu on top of the whole thing. It works with a nice, minimalist design that can work with a variety of membership website ideas, to say nothing of other concepts it can suit in fine fashion. You can also take full advantage of a variety of widgets. 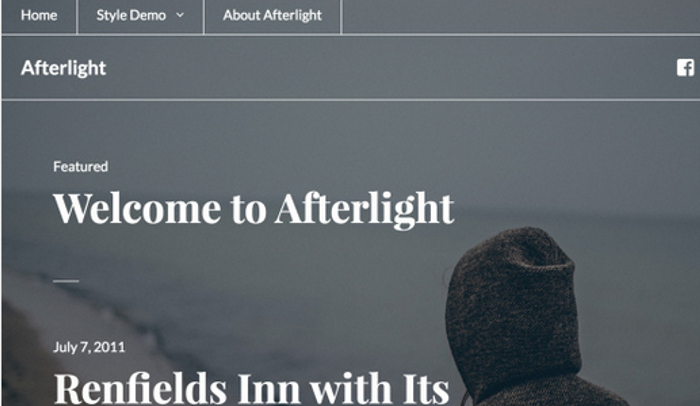 Afterlight is another membership WP theme that offers a variety of visuals and easy-to-use navigation links right at the main page. This monochromatic theme may not be for everyone, but it does allow you to establish an impressive marriage between your text and your media. Lots of widgets, too.